Microfiber is a revolutionary paint roller that will change the way your customers paint. Microfiber provides an exceptional smooth finish with excellent coverage. Microfiber is even better for the environment it’s easy to wash and it can be re-used time and time again with the same superior painting results. 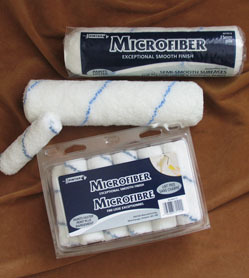 Try Microfiber once and you will never paint with anything else.